Other: Janicy has a very secluded personality. She far prefers solitude than the company of others. Though she can be social, she would always rather stay on her own. She's always very nice to people, but not in a kind way, more in a polite way. She doesn't give out compliments often or easily. She has a special kind of wisdom, unseen by most as she rarely talks. Since she's so quiet, she's rather observant, ever the watchful girl. She picks things up by simply listening and watching. Her memory is rather amazing as well. She's perfectly capable of living on her own, and surviving on her. She knows all the survival techniques along with the fighting ones-mostly with the sword. Janicy rejects any form of romance at all times. She is terrified of anything of the like, and simply hates it. She can't stand anyone else being all googly-eyed and lovey-dovey, and prefers to stay away from such people. History: Janicy was born in the middle of a winter storm. She had 4 older siblings at the time, and two not-so-caring parents. Once she was older, she became an elder to sister to 2. 3 older brothers, 1 older sister, 2 younger sisters. Since their parents didn't exactly care for them, Janicy's eldest brother, Sarick, and her eldest sister, Amelia, were the ones to take care of the four younger siblings. Janicy was always surrounded by her stifling and stuffy brothers and sisters. She despised how much attention she got, and was always smothered by all of them. One day it became too much for her, and she had to run away. 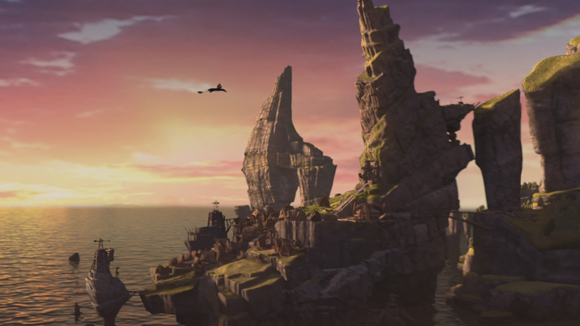 Of course, Berk being such a small island she couldn't go far now could she? So instead she left prematurely, with nothing but some stolen money and the clothes on her back. She bought herself a nice sword, and began to train herself with it. She'd leave her tiny, rented house and run to the woods to teach herself. She attacked the trees, slicing into them until she was sure she had enough power. Her muscles didn't show but they're there, and she practiced everyday. One day, in the town, a man approached her. He was only a bit older than her, and seemed very nice at first. But then he tried to kiss her, and she began to freak out. He attempted to force her to stay, to hang out with him. But she attacked him out of fear, and very nearly killed him. After that, she ran away. She took only her sword and her clothes, and left to the forest. She lived there, too scared to return to the village, scared that the people of Berk would try to take her in and arrest her. So she stayed where she was, her home in the forests of the island. She made herself a home, and trained herself in the art of natural survival. And there she lives. Afraid of socialization and romance. All alone. Well except for the dragons, she made friends with all of them. Most of them trust her, and she loves to hang out with them. Sample RP: 2. A secret admirer confesses his/her love to your OC. Given your OC’s personality, compose a brief narrative in which your OC identifies and addresses the situation. Janicy strolled along the forest, trailing her sword along the side the ground. Trees rose up around her, creating a beautiful canopy above. She hummed a quiet tone as she went, watching the wonder around her. A sudden shuffle from the bushes surprised her, and she whipped around to face the foe, sword raised. "Hey it's okay!" A man's voice fluttered towards her. She began to back away, her emerald eyes growing wide with fear. She stepped away again, when her back hit a tree. "No stay away." she growled, pointing her sword at the man who pushed his way through the brush. He had short brown hair and kind blue eyes, but that didn't help. "Oh wow," the man began, his eyes melting at the site of her, "You're...beautiful!" "No, I'm not. Now leave!" She snarled, slicing her blade through the air, "Don't come any closer. Just go." "But...you're so..." the man's voice trailed off, watching her with mesmerized eyes. "No, leave now." Janicy ordered, before turning tail and dashing away into the brush, leaving the man looking exasperated.